Author frederickandhaglePosted on March 11, 2019 March 11, 2019 Categories UncategorizedTags Workers’ CompensationLeave a comment on How much is my case worth? A common question we hear when talking to clients is, “how much is my case worth?” But if you are hurt on the job in Illinois you are going to hear terms like PPD or “percentage loss of use,” and they can be confusing. Hopefully, we can clear that up a bit. Almost every Illinois work injury has some settlement value. When you are done with your medical care is when it’s time to start thinking about a settlement which, if you aren’t permanently disabled or in a situation where you have a significant wage loss, is called PPD or permanent partial disability. In plain English, PPD is compensation for how your injury is likely to affect you in the future. You get compensated for the diminished nature of whatever body part was injured. It’s a myth. If you break your hand, usually it will grow back stronger so in theory there is no PPD. In reality though if you hurt your hand at work you will be entitled to some settlement or if the insurance company won’t pay, an award from an Arbitrator after a short hearing. So how do you figure out what your case is worth? First, we need to know your average weekly wage. To determine your PPD rate for settlement, we take your average weekly salary (gross not net) and multiply it by 60%. If you grossed $1,000 a week, your PPD rate would be $600. There is a cap on this amount. The highest PPD rate you could have if you were injured today is $790.64. So for anyone making $68,522.13 a year or more, $790.64 would be your PPD rate. The second thing we need to know is what body part is hurt. The third thing to know is what percentage loss of use did you sustain to that body part. This is determined mostly by looking at your medical records, the treatment you have had, any restrictions you might have, need for future treatment and what complaints you currently have. As lawyers, we would compare what you are going through to other cases that have been decided at the Illinois Workers’ Compensation Commission. We then take your PPD rate and multiply it by the number of weeks associated with your injured body part. The table below is the maximum value for any body part. If you lost 100% sight in one eye and you were making $1000/week before the injury, you would multiply $600 (60% of your average weekly income) times 162 which would net a permanent benefit of $162,000. This number, of course, would change if losing your vision made you permanently disabled or caused a significant wage loss. If you were disfigured due to your on the job injury, like a scar on your face, the parties involved would need to agree on a number of weeks of compensation that injury is worth and then apply the same amount of weeks to 60% of your average income, with a maximum of 162 weeks. Does this seem confusing? It can be, but hopefully, this clears things up a bit. Bonus tip. Beware insurance companies who try to base what your injury is worth solely off an AMA rating. It would significantly undervalue what your case is worth. And of course, if you have any questions or concerns, you can call us any time at 217-367-6092 for a free consultation. Author frederickandhaglePosted on January 2, 2019 January 2, 2019 Categories UncategorizedTags Car AccidentLeave a comment on Who is responsible for paying medical bills after a traffic accident? Have you been injured in a traffic accident in the state of Illinois? If so, you might find yourself wondering exactly who is responsible for the resulting medical bills. Let’s take a look at what to expect below, and don’t forget that you can reach out to the professionals at Frederick & Hagle for a free consult at 800.642.1227! First of all, it’s important to understand up front that the responsible party’s insurance company won’t pay for your medical expenses until after your case has been settled. We know that’s not what you want to hear right now, especially if you’re also dealing with lost wages on top of steep medical bills. You need to keep this information in mind, however, so that you understand that your medical expenses will likely be sent to collections if you tell the medical professional in question to “bill” the responsible party’s insurance. You’ll most likely have to pay up front and seek reimbursement after the fact. With that said, keep in mind that this doesn’t mean insurance won’t cover your bills at all. It just means that you’ll have to pay them before your case is settled and take reimbursement out of the compensation secured on your behalf by an experienced attorney. When you go in for medical treatment, make sure to tell the provider that they should bill your health insurance agency. Many of the larger agencies will have special rates with certain facilities, so they’ll end up paying less than you might. Note that you might still be responsible for things like deductibles or the like require upfront payments. Additionally, your health insurance will likely expect their reimbursement to come from any compensation you receive from your injury case. Many car insurance policies contain a clause with medical payment coverage, also known as medpay. If it is present in your insurance policy, then you’ll likely have a set amount of money they will pay out of pocket. Once they meet that threshold, you’ll have to look elsewhere for expense coverage. This can be a great option to look into before worrying about other payment methods; however, you should keep in mind that this clause is optional. It might not be a solution for you, but it doesn’t hurt to check with your insurance company. Another option to consider – or one that might be utilized whether you’re aware or not – is that of a “lien.” A lien is put in place to ensure that once you recover compensation, you pay off your medical bills. Some medical establishments will file for a lien on their own and others will enter into that agreement with you in exchange for providing treatment without billing you until your lawsuit has been settled. For more information about your specific case, reach out to the skilled attorneys at Frederick & Hagle today! Workers’ compensation claims are notoriously complex to settle fairly. It’s really no surprise, then, that almost anything related to them is seen in a rather negative light. Functional capacity evaluations (FCEs), for example, are often viewed with much mistrust on the part of patients completing them. And while that’s understandable, it’s important to note that there’s nothing inherently bad about the process. Infact, FCEs can work to prove your claim and help you receive the compensation and work restrictions necessary for your health. An FCE is a type of test where patients demonstrate their capacity to do various tasks related to their daily lives and their work lives. It is designed to simulate activities that they might run into in their workplace or during the course of their work day in order to assess how well they can reasonably be expected to perform them. If the patient works as a construction worker, for example, but was injured while working and can no longer use their hands effectively for manual labor, an FCEto determine their exact capacity might be ordered. These exams are generally overseen by a neutral physician or healthcare specialist who has specific activities they’ll ask patients to complete. Why do I need an FCE? If you’ve been injured at work and are in the midst of a workers’ compensation suit, you might wonder why you’re being asked to undergo an FCE in the first place. Keep in mind that,depending upon the injuries in question, the stakes for both you and the business in question could be pretty large. Even specialists might not be able to give a definitive answer about how your injuries would impact you at work, especially if they aren’t familiar with the industry. An FCE, then, is conducted to allow a professional to assess how the injuries you’ve received will impact your ability to do your job. In addition to the above, keep in mind that an FCE is often highly valued in workers’ compensation cases because they are used by the people hearing or reviewing your claim to determine what accommodations or compensation you should be awarded. How should I approach an FCE? Your first instinct might be to try and appear as injured as possible during the examination, but this is not a good option for the long haul. If the exam administrator notices that you’re purposefully not giving your all, they will make note of that in the report and it could significantly negatively impact your case. At the same time, you shouldn’t strain yourself and overexert yourself during the exam. Just give your best effort without straining your ability – that’s all anyone expects. If you’re facing a workers’compensation claim, it’s important to have experienced attorneys on your side.The professionals at Frederick & Hagle can help! Reach out to us today for a free consultation to see what we think about your case and how we can help. Car accidents are a major cause of injury in the United States. In fact, they are probably far more common than anyone would like to admit, with 324,473 crashes and 93,160 injuries being reported in Illinois in 2016 alone. That’s nearly 1,000 crashes (and 10 injuries an hour) per day according to the Illinois Department of Transportation’s Illinois Roadway Crash Data. It’s not surprising, then, that even the most cautious and safest of drivers can end up involved in a serious car accident. Let’s take a look at some of the most common causes of motor vehicle accidents in Illinois. This kind of behavior is extremely risky and increases the changes of the driver causing (or being involved in) a motor vehicle accident. Whether it’s under the influence of alcohol, prescription medication, or illegal drugs, driving while not sober is a big cause of motor vehicle accidents. There are many substances that can alter your judgment and perception and using them before driving is almost inviting a crash. Speeding is another big cause of car accidents. Frustration with posted speed limits is understandable in certain situations, however that doesn’t change the fact that adhering to them is safer than not. They were put in place for a reason. Failure to follow speeding restrictions can quickly end in a tragic situation. Have you been the victim of a motor vehicle accident? The experts at Frederick & Hagle understand how difficult and overwhelming the situation can be. We’re ready to help fight for your rights and secure the compensation necessary to move on. Contact us today for more information! In 2016, the people of Illinois were involved in over 300,000 car accidents. About 20 percent, or 60,000, of these crashes resulted in a serious injury. And about 1 percent, or 1,000, of them ended in death. A mix of nasty winter weather and dense urban traffic make for a dangerous driving environment. If you were involved in one of these accidents or any other accident, you need a car accident attorney in Illinois. Our car accident attorneys know the impact of even a small car accident and can help you get the relief you need. • Driving distracted by texting, being on the phone, eating, etc. • Driving under the influence of alcohol or other drugs. If the other driver was doing any of these, it’s likely the accident is their fault legally. Of course, there are more factors that are considered when determining fault, but this is a good start. The first thing people do after they get into a car accident that wasn’t their fault is hire an attorney. They almost always hire a local attorney: so, if you live in Champaign, you need an attorney in the Champaign area. Our attorney’s will get the compensation you need for all your losses. This process can be confusing for most people; an attorney will take care of the whole process and make it easy for you, but an example will clear up how the process works. Jim gets in a car accident with Sally when Sally makes a left turn into the front left side of Jim’s vehicle. Jim had a green light and Sally had a green light for yield. The accident is Sally’s fault. Jim gets all of Sally’s contact information and goes to the hospital for serious back injuries. At the hospital Jim racks up $25,000 in medical bills; he goes to an attorney as soon as he gets out of the hospital. The attorney listens to the case and then determines the best source of compensation. Sally works a minimum wage job. But she has an insurance policy worth over $100,000. This is an important note, whether the attorney sues Sally or the insurance company, generally, Sally herself won’t pay the money, her insurance company will. Jim’s attorney files a claim against Sally’s insurance company. Instead of taking the matter to court, the insurance company agrees to settle the matter for $35,000. If Jim had filed a claim without an attorney, the insurance company may have only given him $25,000 maximum because they would not have taken him as seriously. Jim didn’t pay the attorney anything upfront and only now that Jim gets paid does the attorney get paid: the attorney gets paid a percentage of the settlement amount. This is a routine process. An insurance company will give a self-represented person less every time. Hire an attorney and the process is easier and you will be compensated with what you deserve. How much is a car accident claim worth? Here are some real car accidents that happened in Illinois and the real amount the plaintiff (the person suing) received. Facts: The plaintiff was 14 years old and driving with his mom. His mom turned left in front of another car — both with green lights — they collided. The plaintiff’s collarbone was dislocated and cost $1,100 in medical bills. Ultimately, the jury sided with the defendant, because the plaintiff was making the left turn, and the plaintiff got nothing. Facts: The plaintiff was driving and was rear-ended while stopping to turn right onto a small access road. The defendant was speeding. The accident caused neck bone, tissue, and nerve damage and resulted in $3,000 in medical bills and $500 in lost wages. It went before a jury and the jury awarded $6,720 to the plaintiff. Facts: 28-year-old Hurley was driving down the road when a tractor-trailer pulled out in front of him. Hurley’s car went right under the trailer, tearing the roof from the car. He didn’t survive. His wife brought the lawsuit against the tractor-trailer company. The company settled the matter for $1.4 million. If you or a loved one has been in a car accident, our car accident attorneys can help you recover the compensation you deserve, so that you can focus on your recovery. Contact our Champaign office to schedule a free, no obligation consultation with one of our qualified attorneys, and let us discuss the legal options that are available for your specific incident. If we decide to take on your case, there are no upfront fees. Call 1-800-642-1227 or fill out a Free Case Evaluation form today. In 2016, pickup trucks were involved in the second highest number of accidents after passenger cars, in Illinois. Altogether, there were over 63,000 vehicles involving trucks of all kinds — just in one year. Accidents with trucks are more dangerous than those between cars. If you were involved in an accident with a truck, you need a truck accident attorney in Illinois. Our truck accident attorneys know the gravity of a truck accident and can help you get the relief you need. Truck accidents happen for all the same reasons as car accidents. But one thing is for sure: the person not driving the truck is the person in the most danger. Only 21 percent of the people injured in truck accidents were the people in the truck, 77 percent were in the other vehicle, usually a car. Also, only 3% of all accidents in Illinois involve large trucks, but 10% of deadly accidents are with large trucks. • Speeding – Illinois has more than the normal amount of accidents from speeding: 39 percent of deadly accidents in Illinois were from speeding, whereas the national average is 28 percent. • Drowsy driving – truckers have a legal limit on how many hours they can drive a day. Sometimes they exceed that limit. • Distracted driving – eating while driving is common among truckers. This could also include driving while texting, drinking, or talking on a cell phone. • Driving under the influence – this could include alcohol of course, but also prescription drugs. • Not enough driver training – sometimes trucking companies undertrain their drivers. • Unrealistic delivery schedules – sometimes drivers are under the pressure of intense delivery schedules. This can lead to poor decisions and accidents. Whose fault is a truck accident? How much is a truck accident claim worth? Here are some real truck accidents that happened in Illinois and the real amount the plaintiff (the person suing) received. Facts: This was a case of suing the wrong person. 18-year-old Williams sued the City of Evanston, claiming its truck had hit him while he was walking across the street. He then held onto the truck until one of the passengers kicked him off. Pretty messed up. But Williams’ license plate number he provided did not match any of the city vehicles. He piled up $5,400 in medical bills and the jury gave him nothing. Facts: Kruse was driving when her vehicle was hit by a commercial truck. The company admitted fault and settled for $1.5 million. Kruse had multiple leg and facial fractures and scarring and had tallied $200 thousand in medical bills. Should I hire an attorney for my car accident? Author frederickandhaglePosted on August 31, 2018 Categories Car Accidents, Insurance, Personal InjuryTags Car AccidentLeave a comment on Should I hire an attorney for my car accident? When it comes to unexpected situations that can change a life forever, traffic accidents are among some of the most devastating around. Because they involve heavy, large machinery moving at fast speeds, it perhaps makes sense that the injuries traffic accidents inflict upon their victims are often catastrophic in nature. If you or someone you love has been injured in a car accident of some kind, it’s important to reach out to an experienced attorney who can help. With that said, you might be wondering exactly when you should hire an attorney. Let’s look at some of the considerations to undertake when making your decision. If the liability in your case is crystal clear, that can help the process move smoothly. In the event that the liability is shared or unclear, however, you might find yourself facing an uphill legal climb. This can be a serious issue, especially if you have medical bills or property damage to cover (not to mention lost wages if your injuries have left you unable to complete your normal shifts). Whether you are looking to secure your compensation or help ensure that the responsible person is held accountable, an attorney can help. Insurance can be incredibly difficult to deal with. Keep in mind that their main interest is in ensuring that they keep as much money in their coffers as possible, not what is best for you. That means that they will do their best to pay out as little as they can if they offer a settlement. They will often deny a claim outright, leaving victims feeling as though there is no recourse. A lawyer can help you handle insurance claims and do their bests to secure the compensation you need to recover. If your claim has been denied – and even if you have been offered a settlement – you should hire an attorney. Finally, if you are facing extenuating circumstances, you should reach out to an attorney for help. This means that if you are facing issues with lost wages or even problems with caring for loved ones after an injury from a car accident, a lawyer can help. Remember that insurance claims tend to calculate immediate losses, not complicated issues like lost work, caregiver fees, and extended projected medical fees. An expert can help make sure that you receive the compensation that you need to move on with your life. Something else to keep in mind when working through your traffic accident claim is the statute of limitations. You want to make sure that you understand how much time you must file a personal injury claim. In Illinois, this is generally within two years from the accident. Regardless, contacting an attorney can help you stay on top of any important due dates. It should be noted that a lawyer can also help protect you if you are concerned that someone might file a personal injury claim against you within the statute of limitations. 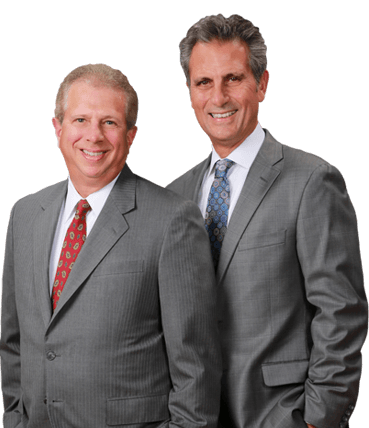 If you need help with your traffic accident personal injury case, the attorneys at Frederick & Hagle can help. We have the experience, knowledge, case history, support, and reputation needed to fight for your best interests. Contact us today for more information! Auto Accidents and Private Property: Who is at Fault? Author frederickandhaglePosted on August 7, 2018 Categories Car Accidents, Personal InjuryTags Car AccidentLeave a comment on Auto Accidents and Private Property: Who is at Fault? Automobile accidents are incredibly serious issues that can have catastrophic consequences. This is as true of accidents that occur on private property as it is of accidents that occur on a public thoroughfare. That is not to say that the two don’t have any differences at all, of course. Determining who is responsible for the accident can be more difficult with accidents that occur on private property. It is important that you understand your rights during this difficult time and are able to determine who is liable for the accident. When someone drives or otherwise behaves negligently and leads to the damage of person or property, they might be held liable for the victim’s losses. This does not change when the accident takes place on private property. Note that this can encompass situations where the accident was not caused by another individual physically striking your vehicle. If a privately-owned parking lot fails to mark blind spots or to ensure that the proper number of “no stop” or “yield” signs are in place, for example, then they very well might be found liable for accidents that occur in the lot. Depending upon the property owner in question, you might find that gathering information about your accident, including camera footage, if available, that shows you were not at fault, to be quite difficult. A property owner who has an active stake in ensuring that you (and not they) are found to be liable for your own damages, for example, is less likely to willingly help you prove that the accident was not your fault. That is where an experienced attorney familiar with the laws governing auto accidents and private property comes in handy. Auto accidents can happen to anyone. Even the most cautious of drivers can find themselves caught off-guard and put into a bad situation. If you have been the victim of an automobile accident on private property, the attorneys at Frederick and Hagle can help. Our experienced legal experts understand how to determine who is at fault for accidents as well as how best to ensure you receive proper compensation. Reach out to us today at 217-367-6092 for more information! According to the National Highway Traffic Safety Administration, motorcyclists are approximately 40 times more likely to be victims of deadly accidents than passenger vehicles. With that in mind, our lawyers would like to take one last chance to provide some helpful information on the most common causes of motorcycle accidents, in the hope that it will help our readers have a safe and enjoyable summer. Brake Lights That Are Difficult to See-This is especially dangerous for motorcycles because riders often decrease their speed by downshifting, or simply letting off the throttle, and this doesn’t activate their brake light. When riding behind a motorcycle, it is important to be ready to slow down, even in the absence of a visual warning. Turn Signals-A lot of motorcycles do not have automatically canceling turn signals. Consequently, a significant number of new riders, and even some more seasoned ones, forget to turn them off, confusing drivers. When driving a car, it is important to be attentive and do your best to determine whether a motorcycle turn signal is purposeful. Remember too that when you are driving a car, your turn signals are one of the best ways for motorcyclists to tell what you are doing, minimizing the chances of an accident. Speeding-Almost 40% of all motorcycle accidents involve speeding, and this is not necessarily surprising. Many motorcyclists are drawn to motorbikes because of the thrill and freedom, but statistics suggest that exceeding the speed limit nearly doubles your risk of a fatal accident. Maneuverability, Stopping Distance, and Weather-Drivers ofter overestimate the ability of motorcycles to react to things on the road. It is true that motorcyclists are more maneuverable than cars, and have a shorter stopping distance in good weather, but when conditions are windy, rainy, etc., they are at a serious disadvantage. Never assume that the maneuverability of a motorcycle makes it okay to leave them less space on the road. Driving while under the influence of alcohol of drugs-According to the NHTSA, some 30% of all motorcycle accident fatalities involved riders with a blood alcohol level above the legal limit. Operating a motorcycle requires more involvement than a normal vehicle, and balance is also crucially important, making the use of alcohol and other mind-altering drugs even more hazardous than it would be normally. Never, ever drive or ride drunk.